Your day-by-day itinerary now includes Red Fort (Lal Quila) as well as Lotus Temple. On the 6th (Sat), take in nature's colorful creations at Akshardham. 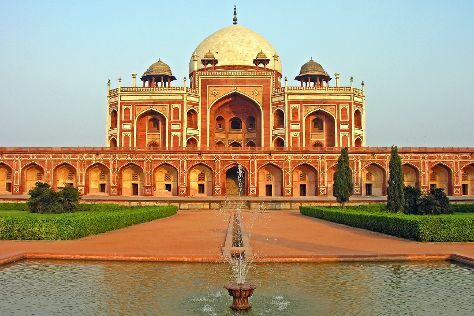 Get ready for a full day of sightseeing on the next day: steep yourself in history at Red Fort (Lal Quila), admire the natural beauty at Humayun's Tomb, take in the spiritual surroundings of Lotus Temple, admire the striking features of Qutub Minar, then contemplate the long history of India Gate, and finally contemplate the long history of Gurudwara Bangla Sahib. To find more things to do, other places to visit, traveler tips, and more tourist information, refer to the New Delhi route maker website . Mumbai to New Delhi is an approximately 4.5-hour flight. You can also take a train; or drive. When traveling from Mumbai in July, plan for a bit warmer days and about the same nights in New Delhi: temperatures range from 41°C by day to 31°C at night. Wrap up your sightseeing on the 8th (Mon) early enough to drive to Agra. Taj Mahal has been added to your itinerary. Start off your visit on the 8th (Mon): admire the striking features of Taj Mahal, admire the landmark architecture of Jahangir Mahal, and then admire the striking features of Agra Fort. To see photos, other places to visit, reviews, and more tourist information, refer to the Agra itinerary app . You can drive from New Delhi to Agra in 3 hours. Other options are to take a train; or take a bus. July in Agra sees daily highs of 40°C and lows of 31°C at night. Finish your sightseeing early on the 8th (Mon) to allow enough time to drive to Jaipur. Kick off your visit on the 9th (Tue): see the sky in a new way at Jantar Mantar - Jaipur, take an in-depth tour of City Palace of Jaipur, then explore the historical opulence of Amber Palace, and finally pick up a one of a kind souvenir at Gems Galaxy. To find ratings, photos, more things to do, and tourist information, you can read our Jaipur trip planner . You can drive from Agra to Jaipur in 3.5 hours. Other options are to take a train; or take a bus. 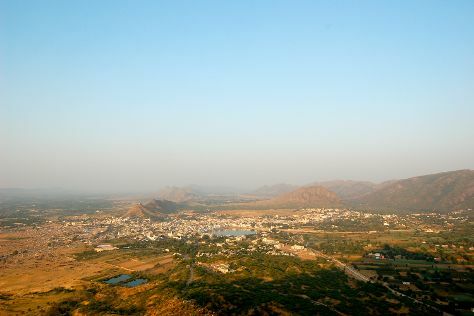 July in Jaipur sees daily highs of 40°C and lows of 30°C at night. Finish your sightseeing early on the 10th (Wed) so you can drive to Pushkar. Immerse yourself in Hindu holy sites in one of the oldest cities in India, Pushkar--where even the camels wear jewels. 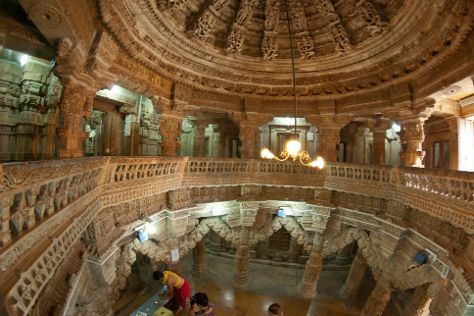 Start off your visit on the 10th (Wed): contemplate in the serene atmosphere at Brahma Temple, take in the spiritual surroundings of Savitri Temple, then contemplate the waterfront views at Anasagar Lake, and finally contemplate in the serene atmosphere at Digamber Jain Temple. To find where to stay, ratings, traveler tips, and more tourist information, refer to the Pushkar trip maker . You can drive from Jaipur to Pushkar in 2.5 hours. Other options are to take a train; or take a bus. Wrap up your sightseeing on the 11th (Thu) early enough to travel to Jaisalmer. To see ratings and other tourist information, read Jaisalmer trip itinerary maker website . Traveling by combination of bus, flight, and taxi from Pushkar to Jaisalmer takes 7.5 hours. Alternatively, you can drive; or do a combination of train, flight, and taxi. Finish your sightseeing early on the 12th (Fri) so you can drive to Jodhpur. Start off your visit on the 12th (Fri): admire the masterpieces at Umaid Bhawan Palace Museum and then contemplate the long history of Mehrangarh Fort. 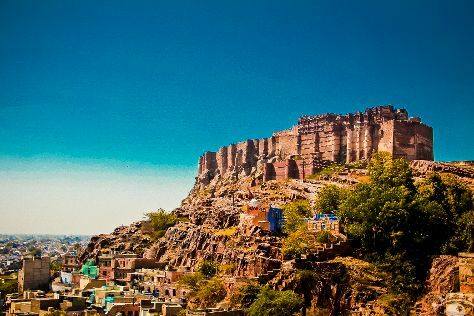 For ratings, other places to visit, traveler tips, and tourist information, read our Jodhpur tour planner. You can drive from Jaisalmer to Jodhpur in 6 hours. Other options are to do a combination of taxi and bus; or do a combination of taxi and train. In July, daily temperatures in Jodhpur can reach 41°C, while at night they dip to 32°C. Finish your sightseeing early on the 13th (Sat) to allow enough time to drive to Udaipur. Kick off your visit on the 13th (Sat): explore the activities along Lake Pichola and then admire the striking features of City Palace of Udaipur. To find maps, more things to do, reviews, and other tourist information, use the Udaipur online tour itinerary planner . Traveling by car from Jodhpur to Udaipur takes 4 hours. Alternatively, you can take a bus; or take a train. Traveling from Jodhpur in July, expect nights in Udaipur to be about the same, around 30°C, while days are little chillier, around 37°C. You'll have a few hours on the 14th (Sun) to wrap things up before traveling home.